Pay attention to your neck and shoulders for a moment. Right now, notice if there is any pain there, are you hunching over? Are your shoulders up around your ears? Stress often manifests as physical tension, with the neck and shoulder combination a classic. Any senior leader carries a lot of responsibility when working in a not-for-profit organisation. It’s common to experience manifestations of stress when you are consistently under pressure. As a senior leader you are likely to be dealing with demands from the board, the CEO, the team you manage, the service users, funders, the media and the general public. Couple that with sector expectations of overwork and even martyrdom, it’s understandable why many of us experience burnout. Personally, I experienced burnout working in the not-for-profit sector six years ago, after finding it hard to be honest about my need to take care of myself. The best I did before hitting rock bottom, was regularly reading a post-it note that my mum had written for me. She wrote it for me after a particularly difficult day, to remind me to take pressure from others with a pinch of salt, it was only a job, and that running was helpful. Mums seem to know when a post-it note is needed. Unfortunately, I burnt out anyway, and it took about 18 months to feel like myself again. I know I’m not the only person to experience this; it’s widespread in the sector. Chances are if you’re feeling overwhelmed; your peers probably are too. The good news is we can do much more than look at a post-it note to self-care and build our resilience. As a first step, it’s good to share honestly and openly how we’re feeling. Talking about issues is one of the most effective ways to tackle them. If there are colleagues you trust, use them, speak to them, open up to them; it’s not as scary as many of us think. Looking externally for support systems works too; CharityComms runs training for leaders designed to unlock your potential called Hack Yourself in partnership with Jack Lowman or you could book some sessions with a resilience coach at Bird. Self-care comes in all shapes and sizes, and it is a matter of trial and error to find out what works for you. Yoga, meditation, coaching, counselling, psychotherapy, journaling, using permission slips, self-compassion exercises, getting out into nature, massage, listening to music, being creative, healthy eating, and speaking to supportive friends and colleagues are just a taste. The point is we must spend time discovering the things that help us, and we have to do them if we want to be resilient. This will enable you to work sustainably, and encourage your teams to do the same. You have permission to be good to yourself. You have permission to feel good at work. Self-care is not a luxury, it’s a priority. At Bird last year, we conducted some interviews with ten charity leaders discussing wellbeing and resilience. What we found when speaking to our contributors was that culture within an organisation is key. It is all very well doing your own self-care, but if there is an undertone of criticism and judgement about self-care in the workplace, it’s going to feel hard to maintain. When organisations have a collective sense of support and community, amazing things can happen. At Bird, we’ve supported individuals in forward thinking not-for-profit organisations to pledge to meet each other regularly to check in on wellbeing and self-care. What this creates is a culture where people ‘have each others’ backs’, where people can come to work authentically, and share honestly and openly what’s going on for them. When organisations support individuals to be open and honest about how they feel, people move past the struggle much faster than if it’s left unsaid. As Eckhart Tolle says, “anything unconscious dissolves when you shine the light of consciousness on it.” Being open and honest at work actually leads to more productivity. Start somewhere. Implement one new self-care strategy. If it feels safe, share the self-care strategies you’re implementing with your team. 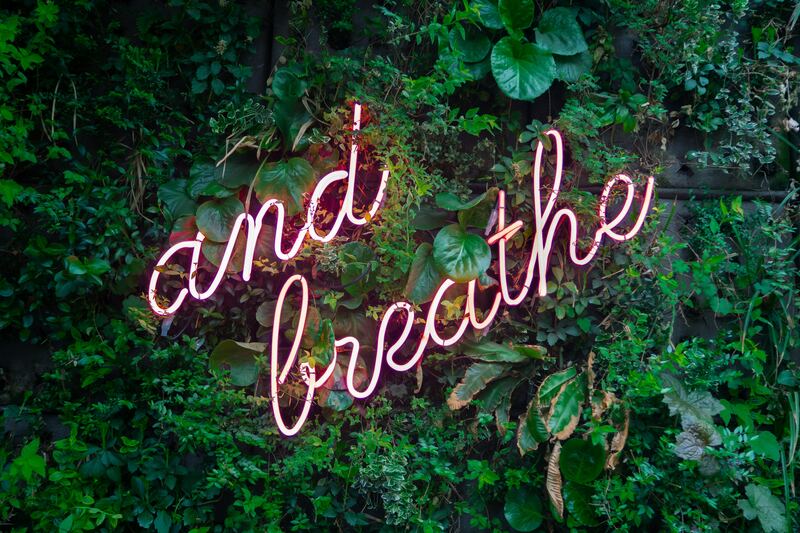 If you are feeling braver still, call a meeting solely focused on wellbeing and self-care with your leadership team – look at how you can support each other and hold each other accountable to being self-care warrior role models. But most of all remember this; you are doing work that is supportive of others, but that doesn’t have to come at the cost of your own wellbeing. You deserve to feel well at work too. Hannah is a certified professional co-active coach and the founder of Bird. Bird is about escaping barriers both internally and externally. We champion creativity, innovation and development in the not-for-profit sector. Bird works with NGO workers, researchers, PhD students, doctors, nurses, social workers, carers, teachers, coaches, counsellors and entrepreneurs.